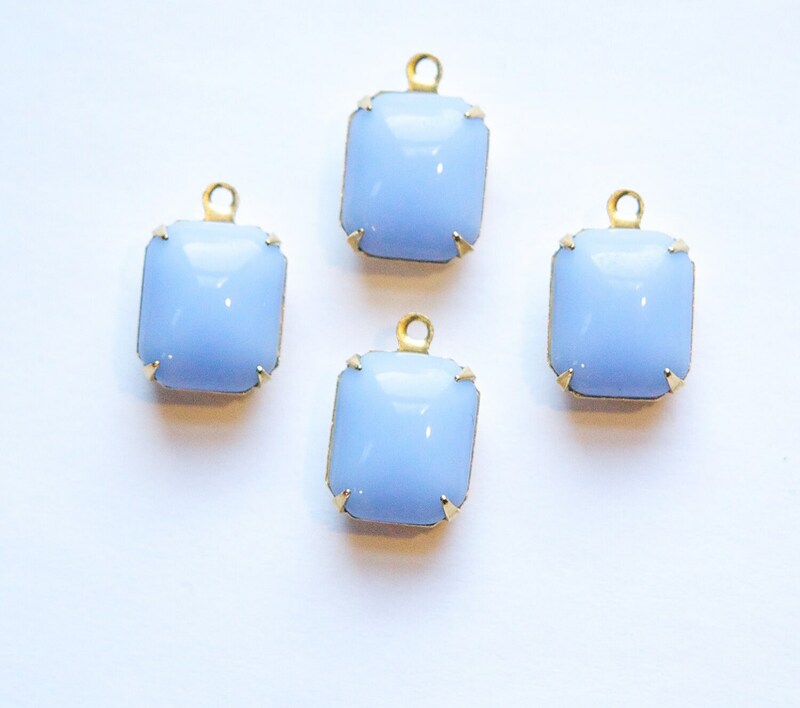 These are vintage periwinkle blue glass stones prong set in a one loop brass setting. The stones measure 12mm x 10mm. You will receive 4 pieces. Thank you so much for your beautiful selection and wonderful customer service!